#10 envelope printing adds a professional touch to your correspondence. Make your professional mailings stand out with our high quality #10 envelopes. 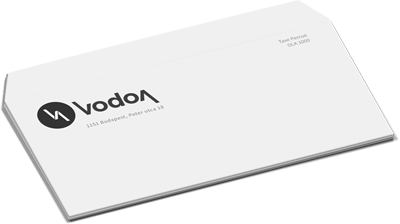 Printed envelopes have the power to create a positive first impression for your company. A professionally printed envelope will stand out from boring white envelopes when recipients are sifting through their mail. Printed envelopes promote brand recognition while piquing the interest of those who receive them.